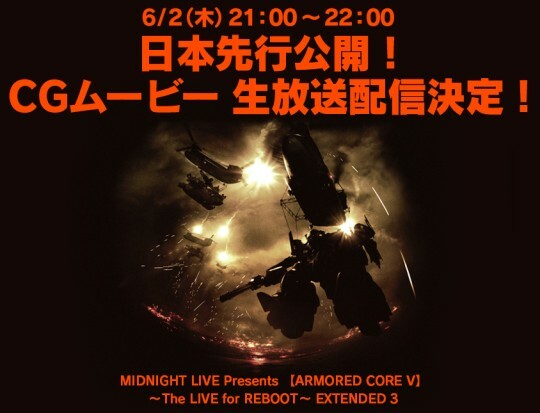 The Armored Core official site has just been updated with the schedule of yet another tease-fest that is the Armored Core V – The LIVE for REBOOT. This fourth installment of their Armored Core V streaming demo series promises to feature the game’s whole CG intro cinematic. And based on all previous Armored Core CG openings (except maybe Project Phantasma, which was pretty bad), this should be epic as well. Expect the stream to go up on June 2nd at 7:00 PM (Japan time) through their usual Famitsu and Ustream channels.